It's official. 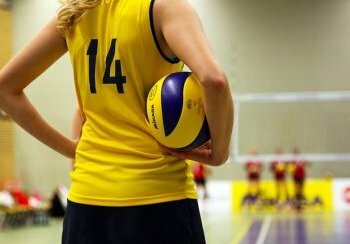 The world governing body for volleyball FIVB has banned the Serbian women's team from the 2018 World Championships following revelations of a photo in which members of the team celebrated their qualification for the tournament which will be held in Japan, by pulling back their eyes in an apparent mockery of Asian people. Serbia, the silver medalists from last year's Rio Olympics and also from the previous World Championships in 2015, were expected to be among the top contenders for the title, but will have to concentrate all their efforts now on the European Championships which will be co-hosted by Azerbaijan and Georgia from September 22nd to October 1st later this year. "The FIVB board met this morning and decided that in the best interest of volleyball and as a way of saying that we will not tolerate any racism in the sport, the Serbian women's national team will be debarred from competing in the World Championships next year. I know that this may seem harsh and I know that I will receive a lot of criticism from the Serbian authorities who will say that their women's team didn't mean any harm by the so-called innocent gesture of pulling back their eyes to look Asian when they qualified after beating the Polish team, but what one has to understand is that such behavior is offensive, malicious and totally unacceptable." "No amount of apologizing from the Serbian officials will be able to fix the damage that has already been caused. That despicable act from the Serbian women volleyball players was immature, puerile and downright racist. And as we all know racism in sports will not be tolerated. That said however, there is still some light at the end of this tunnel for another team who will stand to benefit from the indiscretion of the Serbian women as the Czech women will now officially be the first European team to qualify for the tournament and the Polish team will now be second in Pool B and will advance to the playoffs for one of the two remaining European spots up for grabs." "I guess the Czech and Polish teams need to show their immense gratitude toward the Serbian team. I hate to say this, but this has to be an extremely rare occasion when something positive actually came out of a racist incident in the sporting arena."